These information design books are a collection of general information design literature. Happy browsing! Visual Function: An Introduction to Information Design presents and dis­cusses a variety of graphics used in transmitting infor­mation, analyzing signs, graphs, and charts through a method similar to that found in Edward Tufte's books (Envisioning Information and The Visual Display of Quanti­tative Information), which have had an enormous influence on today's graphic designers. With copious color and black-and-white illustrations, this book examines airplane safety cards, street maps, road signs, instruction booklets, corporate logos, subway guides, magazine advertisements, cookbooks, computer diagrams, and car manuals, all as a means of explaining how information can be conveyed without words. Contemporary Techniques in Architecture addresses the translation of techniques in design methodology to their architectural realisation, at the scale of space, material programme and construction. It challenges technique-driven experimental architects at the next intellectually rigorous level - that of exploring concepts and translating them into their material counterparts. How do you think through the building of avant-garde forms? The title includes the work of high-profile philosophers, architects and engineers, such as Manuel Delanda who wrote 1000 Years of Non-Linear History; Greg Lynn and Foreign Office Architects; and Cecil Balmond of Ove Arup, who worked with Daniel Libeskind on his proposal for the Spiral Building for the V&A Museum in London, as well as with Philip Johnson and Studio Baad on the Chavasse Park Project featured here. Intellectually stimulating and visually engaging, with its inclusion of spectacular writing, designs, manufactured prototypes and full-scale buildings, Contemporary Techniques in Architecture takes architectural publishing's treatment of the digital to a new level, looking at its potential in a realised form as well as a creative medium. This book celebrates escapes from the flatlands of both paper and computer screen, showing superb displays of high-dimensional complex data. The most design-oriented of Edward Tufte's books, Envisioning Information shows maps, charts, scientific presentations, diagrams, computer interfaces, statistical graphics and tables, stereo photographs, guidebooks, courtroom exhibits, timetables, use of color, a pop-up, and many other wonderful displays of information. The book provides practical advice about how to explain complex material by visual means, with extraordinary examples to illustrate the fundamental principles of information displays. Topics include escaping flatland, color and information, micro/macro designs, layering and separation, small multiples, and narratives. Winner of 17 awards for design and content. 400 illustrations with exquisite 6- to 12-color printing throughout. Highest quality design and production. (Text from the author's own website). Road safety can be improved. This book tells you how to do it. It is a catalogue of more than 100 road safety measures whose effect have been evaluated and quantified in studies made all over the world. The results of more than 1,700 road safety evaluation studies are summarised in this book. It covers the whole spectrum of road safety measures, ranging from highway engineering and traffic control, through vehicle design, driver training, public information campaigns and police enforcement. This book gives an unprecedented breadth of coverage, and provides state of the art information. It is a systematic and easy to use reference manual. This illustrated collection features the work of 12 practitioners in the vanguard of a wave of architectural creativity that employs the digital technologies, including Greg Lynn, NOX, dECOi, and UN Studio. It details the process behind their designs and contains a substantial reference section. We're filling up the world with technology and devices, but we've lost sight of an important question: What is this stuff for? What value does it add to our lives? 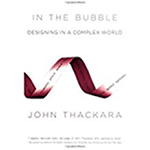 So asks author John Thackara in his new book, In the Bubble: Designing for a Complex World.These are tough questions for the pushers of technology to answer. Our economic system is centered on technology, so it would be no small matter if "tech" ceased to be an end-in-itself in our daily lives.Technology is not going to go away, but the time to discuss the end it will serve is before we deploy it, not after. We need to ask what purpose will be served by the broadband communications, smart materials, wearable computing, and connected appliances that we're unleashing upon the world. We need to ask what impact all this stuff will have on our daily lives. Who will look after it, and how?In the Bubble is about a world based less on stuff and more on people. Thackara describes a transformation that is taking place now -- not in a remote science fiction future; it's not about, as he puts it, "the schlock of the new" but about radical innovation already emerging in daily life. We are regaining respect for what people can do that technology can't. In the Bubble describes services designed to help people carry out daily activities in new ways. Many of these services involve technology -- ranging from body implants to wide-bodied jets. But objects and systems play a supporting role in a people-centered world. The design focus is on services, not things. And new principles -- above all, lightness -- inform the way these services are designed and used. At the heart of In the Bubble is a belief, informed by a wealth of real-world examples, that ethics and responsibility can inform design decisions without impeding social and technical innovation. Information design is the newest of the design disciplines. As a sign of our times, when the crafting of messages and meaning is so central to our lives, information design is not only important--it is essential. Contemporary information designers seek to edify more than to persuade, to exchange more than to foist upon. With ever more powerful technologies of communication, we have learned that the issuer of designed information is as likely as the intended recipient to be changed by it, for better or worse.The contributors to this book are both cautionary and hopeful as they offer visions of how information design can be practiced diligently and ethically, for the benefit of information consumers as well as producers. They present various methods that seem to work, such as sense-making and way-finding. They make recommendations and serve as guides to a still young but extraordinarily pervasive--and persuasive--field.Contributors : Elizabeth Andersen, Judy Anderson, Simon Birrell, Mike Cooley, Brenda Dervin, Jim Gasperini, Yvonne M. Hansen, Steve Holtzman, Robert E. Horn, Robert Jacobson, John Krygier, Sheryl Macy, Romedi Passini, Jef Raskin, Chandler Screven, Nathan Shedroff, Hal Thwaites, Roger Whitehouse. An illustrated compilation of a wide range of Information Design applications. It was first published in Japanese/English, then translated and re-edited in an English/German version. A compilation of 29 papers from a conference on the visual presentation of information. Papers represent a broad range of disciplines with a common research interest in visual perception, theory and method in design evaluation and design parameters. Application areas include the design of road signs, public information signs, instructional material, forms and questionnaires. Designers need to make information accessible and available to everyone - but how do they arrive at such elegant and useful solutions to complicated problems? Covering a broad spectrum of material, from signs and maps to electronic manuals, this work presents an international selection of work that makes our world function smoothly, including designs by such masters as Erik Spiekermann of MetaDesign in Germany, Richard Saul Wurman in the USA and Hiroyuki Kimura of Tube Design in Japan. Within each chapter are detailed case studies that examine a single project in depth, from the client's initial request to the finished product. Informationen gestalten / Designing Information: Einblicke in das Arbeitsfeld "Informationsgestaltung und Typografie"
Der Bremer Grafik-Designer Prof. Hartmut Brückner lehrt seit 1993 am Fachbereich Design der Fachhochschule Münster. Dort entstand auf seine Initiative das Arbeitsfeld "Informationsgestaltung und Typografie". Diese Publikation zeigt außergewöhnliche Resultate aus Brückners Lehrveranstaltungen, die zum Teil höchste Auszeichnungen in nationalen und internationalen Wettbewerben erhielten. Für ihre Arbeiten haben die Studenten in New Yorker Archiven recherchiert, bei Handwerkmeistern in Japan hospitiert, sich monatelang mit Bergbau, Linguistik, Eisenbahnwesen oder Krebsforschung beschäftigt, sie stiegen in die Großstadtkanalisation, dokumentierten ihre eigene Knieoperation oder waren bei Obduktionen dabei; und sie haben einfach die Stadt, in der sie leben, zum Thema intelligenter Studien gemacht. Bei fast allen Arbeiten sind die Studenten auch selbst die Autoren der Texte. Das Arbeitsfeld Grafik-Design wird so um eine journalistische Komponente erweitert, und neue Aufgabenfelder werden für die Zukunft ins Auge gefaßt. Focusing on information design, this guide reveals the visual language of location, direction, spatial and structural relationships which are central to this sector of graphics, exploring "maps" as varied as subway systems and websites to chemical symbols, and the mapping of time. Über 50 Leit- und Orientierungssysteme an der Schnittstelle zwischen Architektur und Kommunikationsdesign. Dass wir in der Münchener Pinakothek nicht von Zeit zu Zeit den Kompass zücken müssen und uns stattdessen voller Muße der Kunst zuwenden können, dafür sorgen der Architekt Stephan Braunfels und Wangler&Abele. Ihr Orientierungssystem weist subtil den Weg, ohne die Aufmerksamkeit des Besuchers auf sich zu ziehen. Umfangreich und großzügig bebildert sowie mit informativen Begleittexten versehen, befasst sich der vorliegende Band mit diesem und anderen »Raumzeichen« im urbanen Leben. 50 europaweite Beispiele dokumentieren anschaulich das erfolgreiche Zusammenwirken von Architektur und Kommunikations-Design im öffentlichen Raum. Letterforms surround us: inscriptions or names on buildings, directional signs for road networks, and signs within and around buildings. This book focuses on the letterforms and typography found in public places that help us to navigate towns, cities, and countrysides and that contribute to a sense of place. Featuring 700 color images of examples from around the world, it discusses the function and execution of signage. 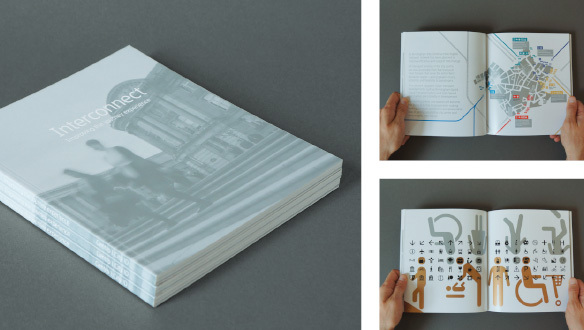 Part resource, part celebration, it brings together material that is of key interest to graphic designers, lettering artists, architects, and all those who are concerned with how towns and cities look and function. A milestone in modern thought, Space, Time and Architecture has been reissued many times since its first publication in 1941 and translated into half a dozen languages. In this revised edition of Mr. Giedion's classic work, major sections have been added and there are 81 new illustrations. The chapters on leading contemporary architects have been greatly expanded. There is new material on the later development of Frank Lloyd Wright and the more recent buildings of Walter Gropius, particularly his American Embassy in Athens. In his discussion of Le Corbusier, Mr. Giedion provides detailed analyses of the Carpenter Center at Harvard University, Le Corbusier's only building in the United States, and his Priory of La Tourette near Lyons. There is a section on his relations with his clients and an assessment of his influence on contemporary architecture, including a description of the Le Corbusier Center in Zurich (designed just before his death], which houses his works of art. The chapters on Mies van der Rohe and Alvar Aalto have been brought up to date with examples of their buildings in the sixties. There is an entirely new chapter on the Danish architect Jorn Utzon, whose work, as exemplified in his design for the Sydney Opera House, Mr. Giedion considers representative of post-World War II architectural concepts. A new essay, "Changing Notions of the City," traces the evolution of the structure of the city throughout history and examines current attempts to deal with urban growth, as shown in the work of such architects as José Luis Sert, Kenzo Tange, and Fumihiko Maki. Mr. Sert's Peabody Terrace is discussed as an example of the interlocking of the collective and individual spheres. Finally, the conclusion has been enlarged to include a survey of the limits of the organic in architecture. What does the city's form actually mean to the people who live there? What can the city planner do to make the city's image more vivid and memorable to the city dweller? To answer these questions, Mr. Lynch, supported by studies of Los Angeles, Boston, and Jersey City, formulates a new criterion--imageability--and shows its potential value as a guide for the building and rebuilding of cities.The wide scope of this study leads to an original and vital method for the evaluation of city form. The architect, the planner, and certainly the city dweller will all want to read this book. The classic book on statistical graphics, charts, tables. Theory and practice in the design of data graphics, 250 illustrations of the best (and a few of the worst) statistical graphics, with detailed analysis of how to display data for precise, effective, quick analysis. Design of the high-resolution displays, small multiples. Editing and improving graphics. The data-ink ratio. Time-series, relational graphics, data maps, multivariate designs. Detection of graphical deception: design variation vs. data variation. Sources of deception. Aesthetics and data graphical displays. This is the second edition of The Visual Display of Quantitative Information. Recently published, this new edition provides excellent color reproductions of the many graphics of William Playfair, adds color to other images, and includes all the changes and corrections accumulated during 17 printings of the first edition. (Text from the author's own website). 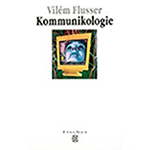 Lesbar - ja lesefreundlich - und schön soll sie sein, die Schrift. Wo aber beginnt und endet die Lesbarkeit? Welche optischen Gesetze liegen ihr zugrunde? Inmitten der Formen- und Farbenvielfalt der Stadt buhlen auch Schriften um unsere Aufmerksamkeit. Was heißt da Lesbarkeit und Ästhetik von Pompeji bis Chicago? Wie korrespondiert in diesem monumentalen Raum Schrift mit der Umwelt, mit Architektur? Wann und durch wen wurde die Typografie dynamisiert? Warum sie also nicht gleich demontieren? Diese und andere Themen einkreisend, hinterfragend und mit reichem Bildmaterial aus den Bereichen Typografie, Kunst und Architektur vergleichend, nimmt der Autor den Leser mit auf seine Streifzüge durch die Typografie. Die sechs Zeitschriftenaufsätze und Vorträge, die für diese Buchausgabe teils vollständig überarbeitet, teils praktisch neu geschrieben wurden, k reisen um das Thema Typografie und ihr Umfeld. Bei dieser Zusammenstellung war es nicht zu vermeiden, dass einige Aussagen sich in ähnlicher Form wiederholen, weil im jeweiligen Zusammenhang nicht auf sie verzichtet werden konnte. Ebenso entdeckt der Leser vielleicht Widersprüchliches. Einige für den mündlichen Vortrag geschriebene Redewendungen sind stehengelassen, andere wiederum eliminiert. So hofft der Autor, dass die Texte lesbar geworden sind, ohne dass der Duktus des Vortrags ganz verloren ging. Like its predecessors, Visual Explanations is both intellectually stimulating and beautiful to behold. Tufte, a self-publisher, takes extraordinary pains with design and production. The book ranges through a variety of topics, including the explosion of the space shuttle Challenger (which could have been prevented, Tufte argues, by better information display on the part of the rocket's engineers), magic tricks, a cholera epidemic in 19th-century London, and the principle of using "the smallest effective difference" to display distinctions in data. Throughout, Tufte presents ideas with crystalline clarity and illustrates them in exquisitely rendered samples. (Text from the author's own website). IDJ Information Design Journal - A peer-reviewed international journal that bridges the gap between research and practice in information design.